At the event bright and early, maybe a little too early as its 10am and the festival won't start until noon but at least I get to see the crew setting up for the day. So there I was sat down with a cup of tea ready to enjoy the days events and low and behold who would walk in then none other then the festivals creator Ed Thurlow. Sporting a suit that has seen better days and blood dripping down his face he would amble along in true zombie form helping set the event up alongside his crew. It wasn't long till other people started arriving dressed in their various zombie costumes and some of the make up people had done was very impressive. There wasn't as many people dressed up as I thought there would have been at a zombie event but the people who were there went across the age barrier but all had a true passion for the genre. The place hosting the event were also in the zombie spirit as they had a menu called the 'Zombie Feast-Ival', The food available was Deadly Deli Sandwiches, Sleazy Sides, Evil Jacket Potatoes, Hellish Hot Rolls and Bio-Zombie Burgers. Not forgetting the drinks on offer which were all alcohol in the Devilish Drinks promotion. On the day things available to do were a video game section called Arcade Of The Dead which included the excellent House Of The Dead 2, and a place where you could get your make-up done by professional make-up artists. Worth doing so you fit right in at the event, it also has the added bonus of scaring the crap out of people on the way home from Leicester. There was also authors Adam Millard and David Moody doing meet and greets who would also sign the books you could purchase and also would quite happily have photos taken with you. Now the time had come for us to pile in to the cinema screen, grab a seat and enjoy a host of zombie shorts. Ed Thurlow would come in and welcome us all to the festival with his own form of wit and banter with the audience and then the short films began. The first set of films were a nice cheery mixture and full of loads of zombie fun. Kicking right off with the excellent short created with Lego 'TOXIC WASTE' (available to watch here) which I would recommend to anyone. This was quickly followed up by a short shot illegally in an Ikea store in Burbank, California, 'IKEA HEIGHTS' (available to watch here). This was entertaining and ends with a musical number by the cast, something you don't see everyday in a zombie movie. Children were fighting zombies in the next short 'KIDZ' (available to watch here). After their parents are killed they must fight for survival in the next zombie apocalypse, you don't want to mess with these kids. The final cheery short before the serious shorts came featured, guns, zombies and unicycles. Want to see zombies get shot up while unicycle bad asses ruin their day then go to https://vimeo.com/9370997 and check it out. Now it was time for the serious zombies to show up starting off with 'GASOLINE BLOOD' (available to watch here). Its the summer of 1979 and a girl goes to a disused warehouse to shoot a film with with her boyfriend and budding film maker brother. What looks like a great setting for a horror film soon becomes reality. Missing your zombie soldiers then check out the short film 'THE SOLDIER' here. Directed by Shaun Robert Smith and made in less then 48 hours on a shoestring budget, it has been described as 'SAVING PRIVATE RYAN' crossed with '28 DAYS LATER'. As is always the case with these zombie soldier movies it involves the Nazis and some kind of medical experiment gone wrong. Next up, the horror of 2016.....clowns! But not any normal clown this is a zombie clown who doesn't quite realise hes dead and also doesn't like the taste of raw flesh in 'LE QUELOUNE' (a.k.a.THE CLOWN) This was supposed to be part of the serious section of short films but I found it funny. Decide for yourself by checking it out here. The director/writer L. Gustavo Cooper would later go on to direct the 2015 film 'JUNE' (review here). After all those shorts we head into the main part of the festival with the feature films starting off with my favourite of the night the gross out comedy horror NIGHT OF SOMETHING STRANGE. This went down really well with the audience and there was a fair few moments where audience members gasped at the horror they were witnessing. 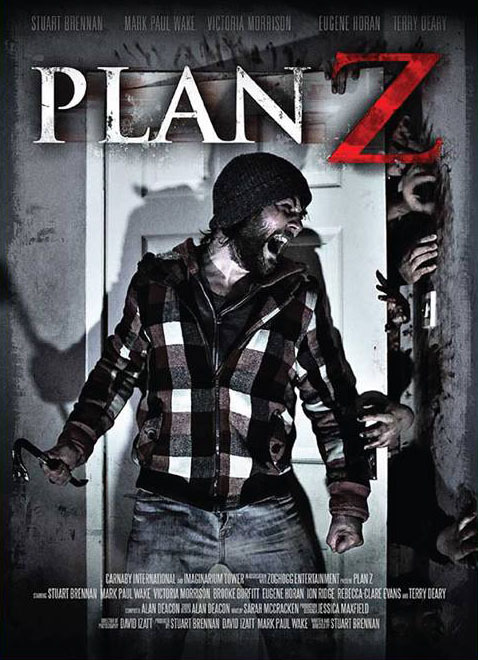 Up next was the British horror film PLAN Z directed by Stuart Brennan who was also in attendance at the event. 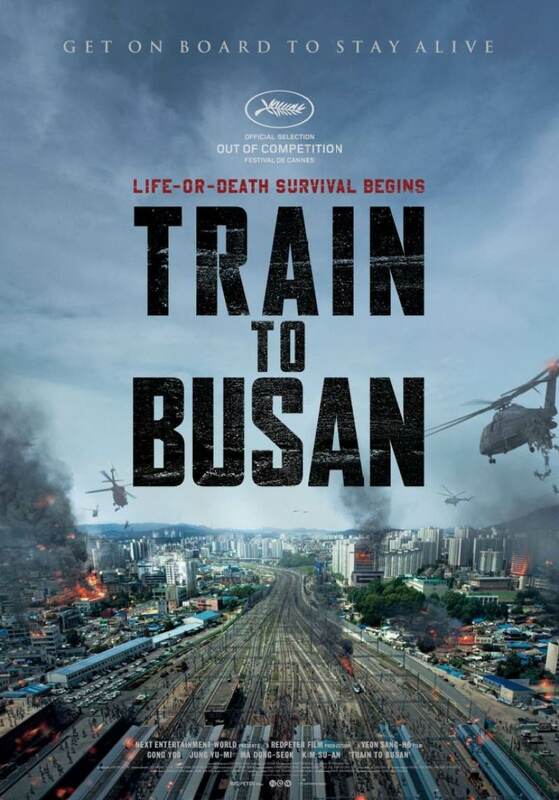 A zombie film that starts out at the beginning of the outbreak that is fairly well done but brings nothing new to the zombie scene we haven't seen before. My main concern was the shoddy camerawork but this film is worth checking out if you want to see a British zombie flick. 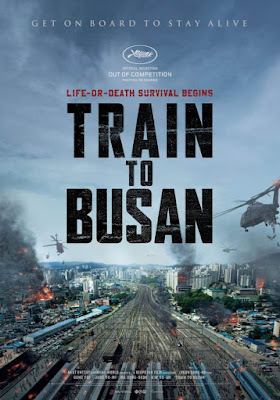 TRAIN TO BUSAN was the third film of the day and just like at Frightfest 2016 this went down amazingly well with many people claiming it to be 'the best zombie film in years' or 'their favourite film of the year', high praise indeed. Now that high moment had been reached it was time to see what ATTACK OF THE LEDERHOESEN ZOMBIES could give us in terms of entertainment. It didn't let down in the entertainment that's for sure but I felt it should have been more then what ultimately we got to see on the screen. Still its worth watching for several unique ways of disposing of zombies. The final film of the night was PEELERS which I knew little about going into it but our host informed us that it is a zombie film that is set in a stripper joint. So as you can imagine many people were happy with what they were going to see but were they happy when the film finished? The only thing that makes this film standout is its unusual way that the zombies are created in the first place, other then that its just another stripfest with a few zombies thrown in. Not the first time zombies and strippers have collided and I'm sure it won't be the last. That is it, the event is over for 2016 but it is a definite that 2017 I will be in attendance again to see what delights the festival of zombie culture will bring our way. for when the next event happens. 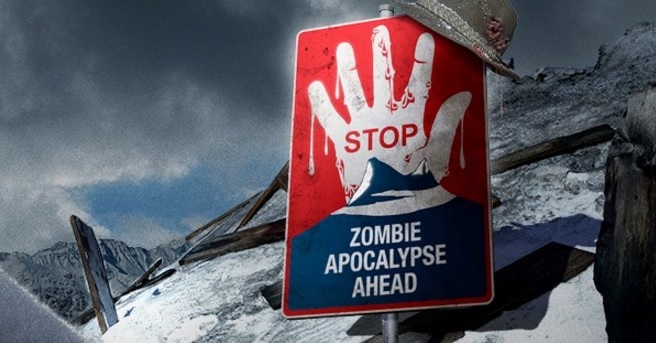 Until 2017 my friends, live well, stock up on ammunition and if you have turned into a zombie eat brains!